Atsugi city is a very convenient location at the center of Kanagawa Prefecture. 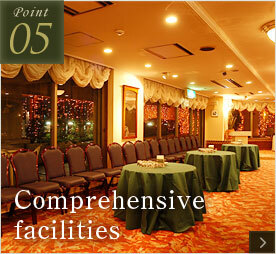 Shinjuku, Yokohama, Kamakura and Hakone can be reached within 60 minutes; Tokyo Disney Resort and Mt. Fuji within 100 minutes. 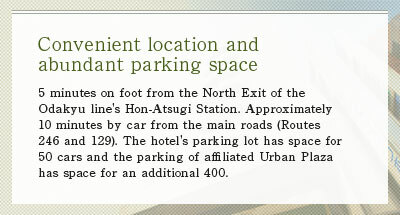 Furthermore, Atsugi Urban Hotel is only 3 km away from the Atsugi interchange on the Tomei Expressway. It is located downtown, 5 minutes on foot from Hon-Atsugi Station, where you can choose among plenty of shopping and gourmet options. 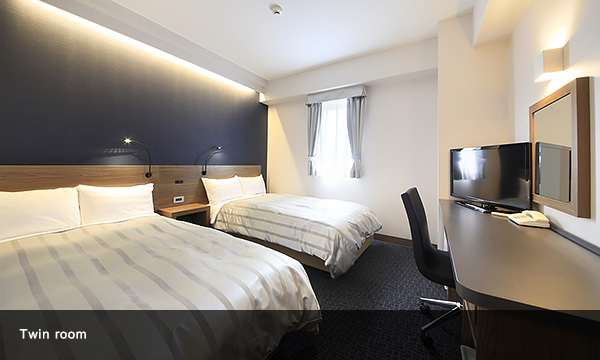 Major companies and factories such as Nissan Technical Center, Sony, Hitachi, Anritsu, etc., are located about 20 minutes away and our rooms are optimal for business trips. 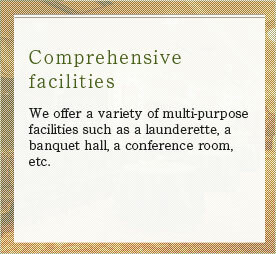 To complete your experience, we also offer facilities such as a restaurant, a conference room and a banquet hall. At the Zamrud Fitness Club and the Urban Spa, two affiliated facilities, preferential prices are offered to hotel guests (3 minutes on foot). 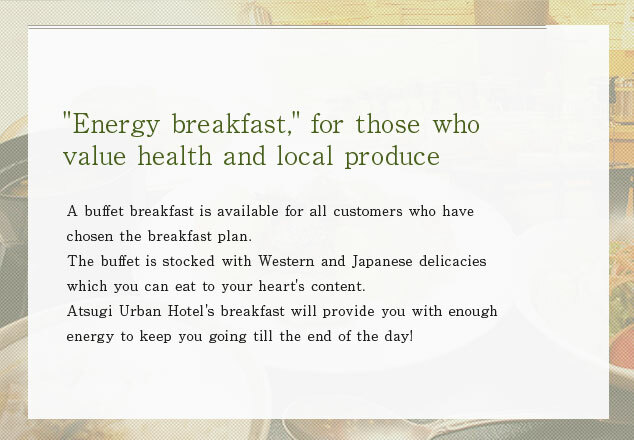 At the Atsugi Urban Hotel, you will enjoy all the comforts of hotel life. 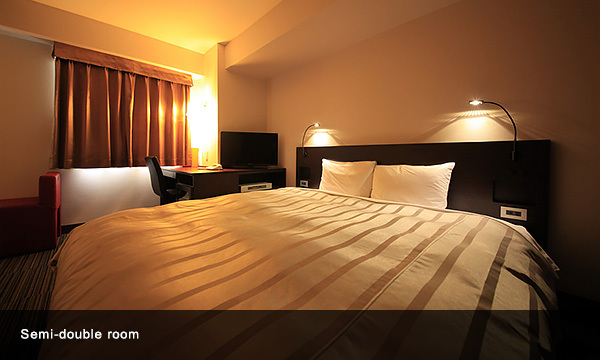 Our functional single rooms offer a comfortable and spacious environment. 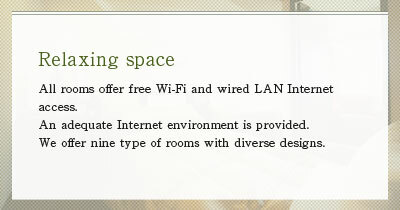 Wi-Fi and wired LAN internet access are available free of charge making it ideal for business purposes. 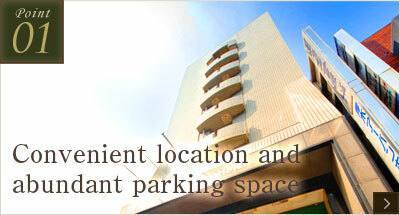 As we offer non-smoking rooms too, please inform us of your preference at the time of booking. 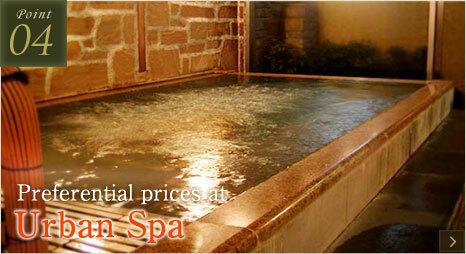 Stay for a reasonable rate in our semi-double rooms or relax leisurely on a spacious bed in our double rooms. 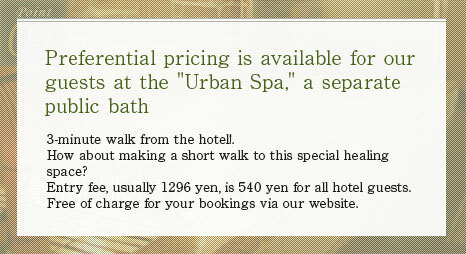 Single-person stay is also possible. Our mini-sink double rooms and women's rooms are ideal for long-term stays. 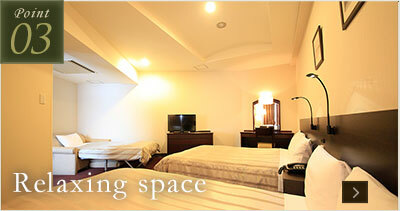 These comfortable and spacious rooms are recommended for couples or families. 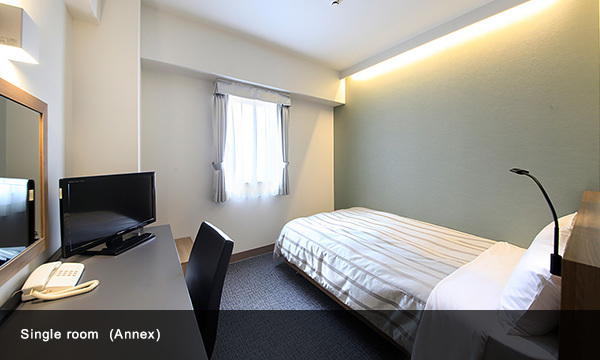 The Deluxe Twin Room can accommodate up to 4 people. As we offer non smoking rooms, please inform us of your preference at the time of booking. 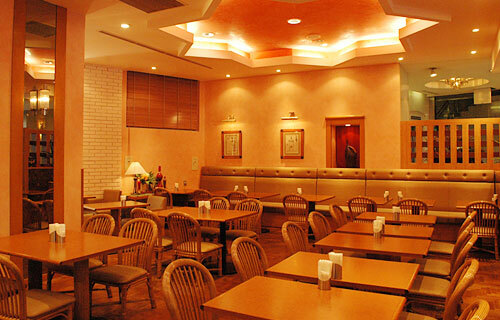 In our restaurant, you can enjoy the tasty dishes of the hotel's chef at reasonable rates. Different dining options, such as courses, simple dinner sets and à la carte dining are available! Please feel free to try any of them. 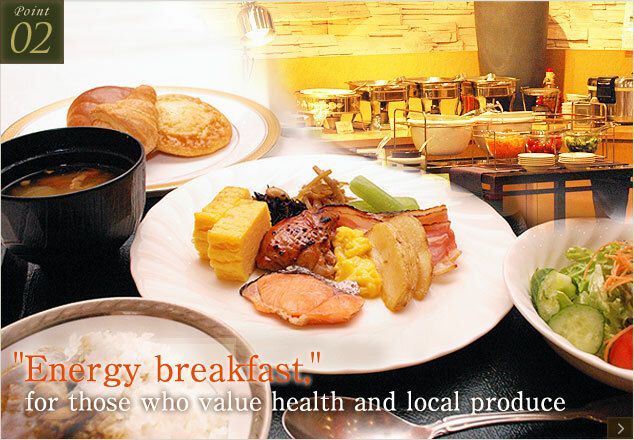 For customers who booked the breakfast plan, we offer a buffet breakfast. 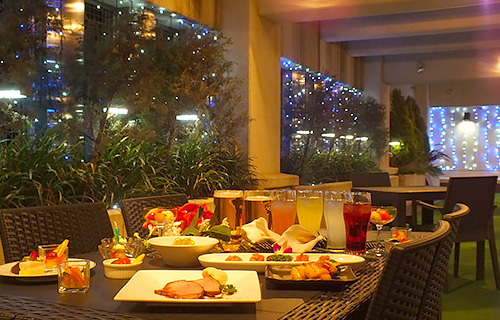 Have a relaxing time to feel the wind on the top floor terrace.All you can drink & all you can eat 100 min. Limit. Copyright (c) 2019 Atsugi Urban Hotel All Rights Reserved.